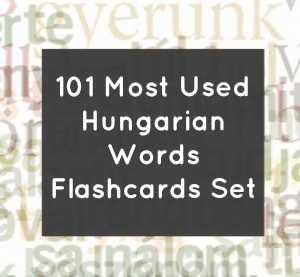 Most Used Hungarian Words Flashcards Package - Apartmentrentalsinbudapest.com Tools! Words are the building blocks of human language and Hungarian. Without them you are naked. Without them you may end up lonesome and blue. Many experts believe that learning the smallest blocks and amount from any subject leads to faster learning and less friction along the way. English translations and reference on the back.